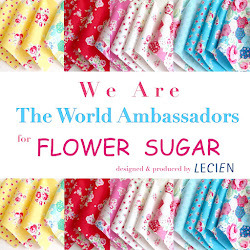 Why do you choose the fabrics you do? 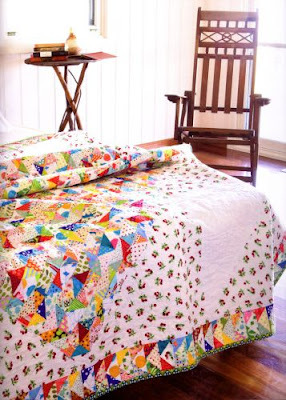 Do your quilts look "the same" every time, or is every one different? Do you usually choose the same style of fabrics for every quilt? do you cram so many fabrics in that you can't see the wood for the trees? 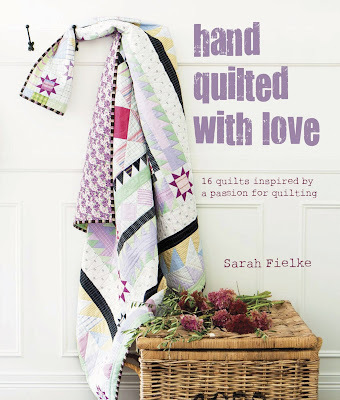 Do you love your quilts? Why do you make them in the first place? What style of quilting am I drawn to? Is there a new skill I'd like to learn? Is there a class locally or on Craftsy that I might enjoy? What is missing in my stash and how can I better use my stash of fabrics? How can I glorify God through creating quilts? Why does choosing fabric combinations make me anxious? I have ufo's, quilt kits, block of the month, and a lot of fabric. I seem to always be looking for the next thing to fulfill my creative desires. When I took the "make do" pledge a couple of years ago I really did well. The most fulfilled I have been of late, quilting, is Lori's Row Along Quilt from her blog here. The quilt was challenging and hard at times and I learned a lot of new skills. I'm looking forward to hanging that one on my wall in my next home. There are things I would change about it, mostly my color choices but that's okay because I'm learning. After ten years of quilting, I'm still learning. I encourage you to ask yourself the questions above and to challenge yourself in whatever medium you create in. Step out of the box and you might just develop your art into what it was meant to be. I would love to know your thoughts. This is great! I try to have an on going scrappy project for relaxed quilting, but I also try new patterns also (like my mom's Dresden Plate quilt), where I use a color scheme. I'm doing Lori's barn quilt in red, black and white, which is an odd color combo for me, and the barns are definitely out of my comfort zone, but I'm loving it, I like the challenge of learning a new block for the side also. I started decorating cakes about ten years ago, but love quilting because there are no time constraints and I can just enjoy myself while quilting and adding my own fun little touches to it! Great post! I think we all get into a funk at times! Such a great post! I have seen Sarah's new book and thought about buying it but I know my quilt tastes and hers are different. She brings up such a great point though. Back before blogging, I never started another project without completing what I was working on. I'm not saying blogging is bad. I've met great friendships through it. It's just that so many of us get caught in the 'quantity' over 'quality' thing. When I began quilting, I started right off with challenging quilts and loved every phase of the project. I really believe The Lord has placed it on my heart to get back to what brought me to quilting in the first place...and it wasn't quantity. It was so many different things...the list is long. But the main reason I began quilting was to comfort others with my quilts. 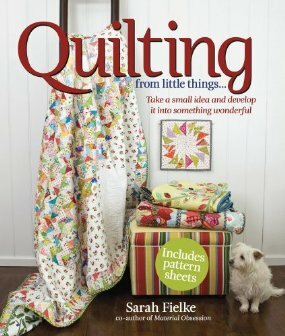 There are a lot of temptations out there in the quilting world, and even more since I began quilting twenty years ago. I know for me, these are things that I need not get distracted by. Thank you so much for sharing this today. I really appreciate it. Loved this post. So many of your thoughts have also been mine. I feel God gave me a gift and I have to share it through quilting. I gift a lot of quilts to people in need and every baby at our church gets one. I also made Lori's Row Along and loved every row of it. I also learned so many tips from doing it and I want to make another one. We have a small group of ladies that meet at my church on Tuesday evenings. When they saw my completed top last week, several of them want to make one. I am going to make another one and do all the things I wish I had done differently in my original one. I love the one I did, but there are things I would do different. (Like choosing the same background, etc.) I am also concentrating on some things I have already started. I am so bad about starting the "next big thing" that I see on blogs, etc. Sorry for the long post! Just been dealing with the same thoughts lately. I've been reading and enjoying your blog for many months and today's post has truly struck a chord with me. I simply had to leave a comment. :-) In recent months I've been struggling with my quilting journey. I've asked myself those very same questions but still have no real answers. I'm a very prolific quilter but lately I've been asking myself why I keep making so many quilts. I do enjoy the process very, very much. I've come to the realization that I'm very, very happy and content when I'm in my sewing room at my machine. The complexity of the project doesn't matter - my smiling face and singing heart are my bliss. I try to every day and not fret about yesterday or tomorrow - my happiness TODAY is what matters most. In the meantime I'll continue my quilting journey and hope the answers come. Wonderful post! Your post made me think. I am newer to quilting but have been trying to stretch myself a little in this adventure. I went to a "sit and sew" this Friday with quilters who have been quilting for many years, they inspire and encourage me. The books you shared look wonderful.